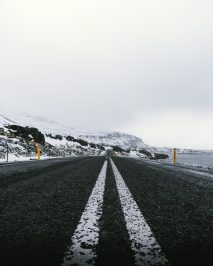 Winter driving in Iceland can be challenging so its important to prepare yourself for your trip. Before setting out check to see your lights, brakes and engine are in good working condition. Watch out for car doors in the wind – they can easily get damaged so you must hang onto them when you exit the car! Accidents can still happen even to the best prepared driver. Inform yourself about the road and weather conditions and accept that sometimes conditions are not okay for travelling.